If you want to recover waste heat in a way that makes perfect sense, then look no further. 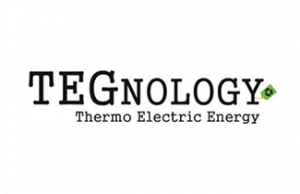 Next Step Challenge finalist TEGnology delivers a simple solution converting heat into electricity. Meet one of our great finalists in the 2018 edition under Energy Efficient Technologies. TEGnology is in short terms – a thermo electric substitute for batteries in sensors. Behind TEGnology is CEO & Founder Flemming Bjørn Hansen and Developer Hao Yin. We had a talk with the team on entering the Next Step Challenge program, what they gain and a sneak peak of their technology. Finding a better power source than the ones we already know is the starting point for TEGnology. We see an explosive growth in the use of wireless sensors in the IoT, but these sensors rely on batteries for power. Because batteries are expensive, pollute the environment and require replacement, we believe there is a better way to do this by substituting the battery with a power source that never depletes and never needs replacing. Says Flemming Bjørn Hansen, Founder & CEO of TEGnology. Entering into the program each of our finalists has their focus on pains or challenges in their company, and working hard on creating the right business plan is key when the advisory board is called to action. Flemming Bjørn Hansen explains. Even with a great deal of experience myself, I find the meetings with the advisory board extremely giving. We entered the competition with a specific aim, and we keep working very determined towards that. But not only does the advisory board add value to the process. We also gain an expanded network. Each year, globally, we throw away 50 to 70% of all the energy produced, in the form of waste heat. It comes from engines, power generation and CHP plants, heavy industry, steel, cement works etc. Technologies exist today to recover waste heat, the problem is that in most cases they are simply too complex and/or costly to operate.